At Encore Events Rentals, we have the pleasure of planning many fantastic events but most of the time, we do not get to see the final product. This time however, a few of us attended the wedding, and here’s why! The married couple were ex-employees at Cal West Rentals. They met and fell in love, all at Cal West Rentals! The reception area looked gorgeous. 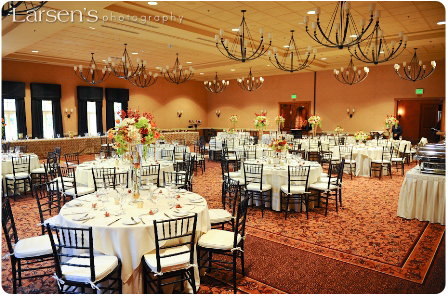 Our simple classic ivory linens and napkins with the mahogany Chiavari chairs, gave the room a classic look with a rich, fall feel. 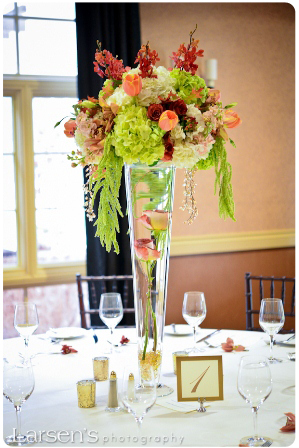 The florals were put together by a close family friend of the grooms, Sue Buhagiar. Sue created some breathtaking floral arrangements. Just check out these centerpieces. The wedding planner for the event was Lindsey from Ohh La La Weddings. 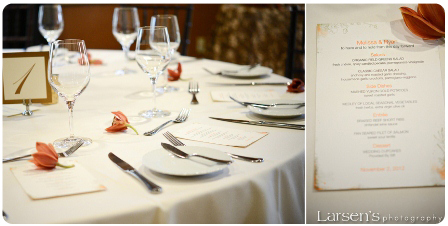 She is a local wedding planner in Sonoma County who offers both full wedding coordination and day of event planning. Check out her site over at http://www.oohlala-weddings.com/. What a great guest book idea! 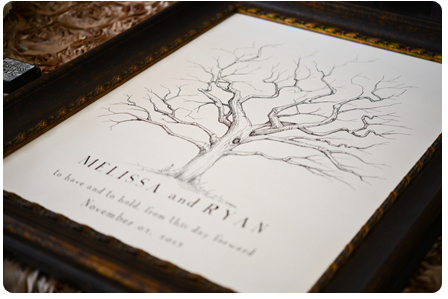 Guests dipped their fingers in ink and made a thumbprint on the tree and signed their name. This way, the Bride and Groom have something to hang in their house to remember all of the people who celebrated their special day with them.